The Tribe has many enterprises that serve all tribal members, and each enterprise had various requirements for their site. 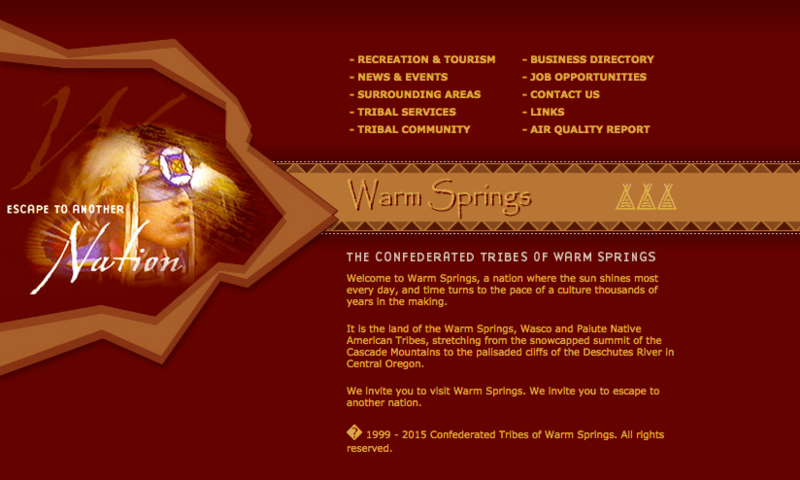 At the end of the 20th century, the Confederated Tribes of Warm Springs began their online presence. 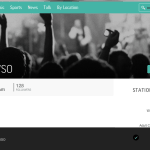 Much thought and preparation were gathered to provide the viewer complete, accurate and interesting information.The Tribes grew into a larger organization and needed a new website that showed this growth. 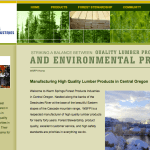 They needed a company they could trust to listen to their needs and understand the many components required for the new site.They also needed the site to be easy to use, both on the front end as well in the back end of the website. 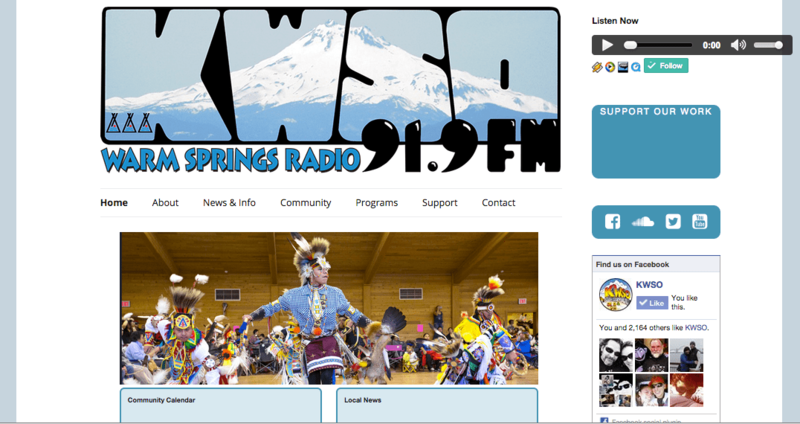 Warm Springs needed to be able to maintain the website themselves, without the need of a technical expert. 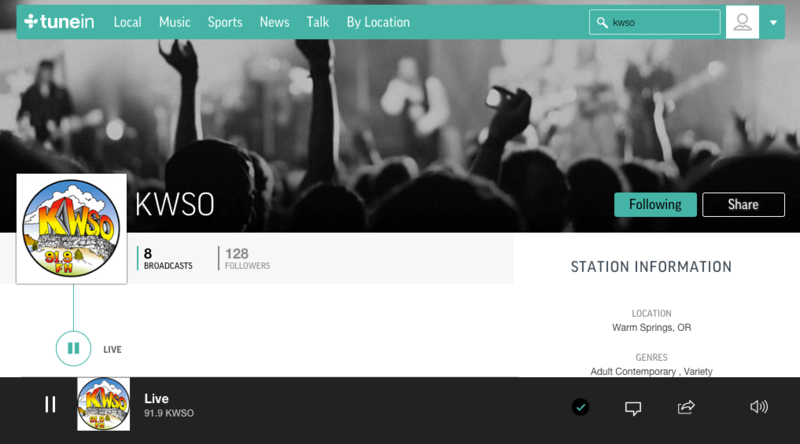 They needed to be able to make changes to the site when they wanted.Because who has time to do their ‘real’ job and then, on top of that, tackle updating a website? Starting in 1999, Alpine Internet was one of the first web development companies to offer an easy-to-use content management system where you didn't need to be an html wizard to keep your website fresh.The content management system allows photos and text to be easily entered and updated. 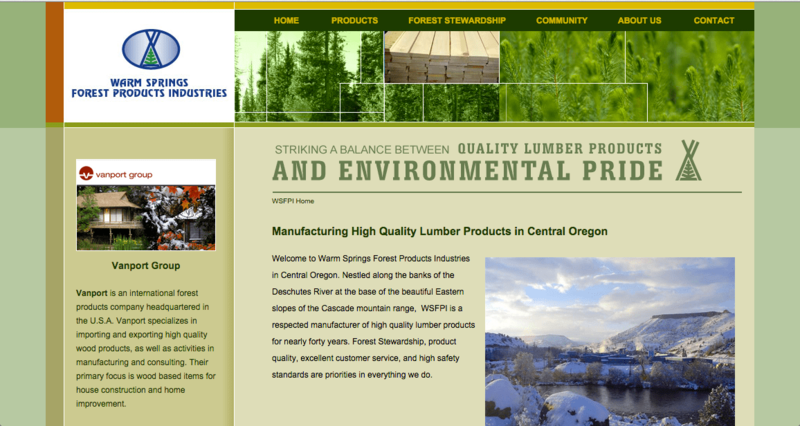 Opportunities for optimizing the content for search engines is right there on the page. 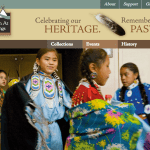 If additional pages or navigation or even plug-ins were needed, these, too, can be easily implemented.Alpine’s content management system is able to provide this for the Confederated Tribe’s main website and for all their enterprises’ websites, too. After in-depth conversations and discussions, Alpine was able to understand the growing needs of the Confederated Tribes of Warm Springs. 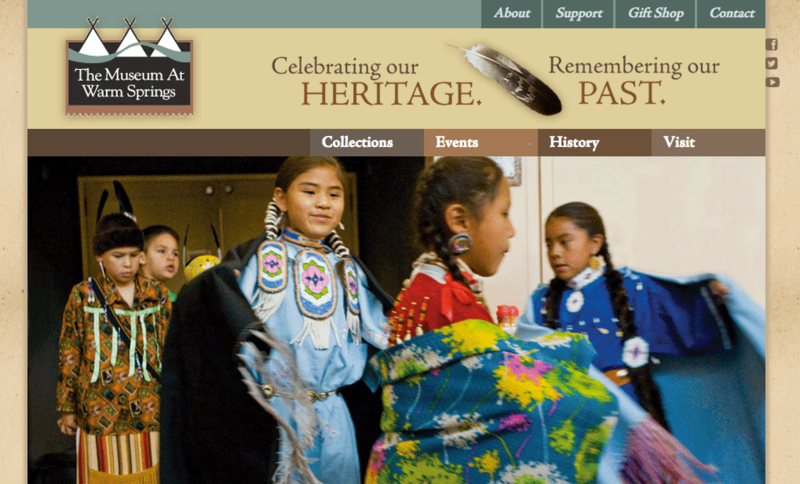 The Tribes’ corporation has many enterprises that serve all tribal members, and each enterprise had various requirements for their site.Alpine delivered a vibrant website, actually websites for the enterprises, capturing the branding for each. Plus, each enterprise is able to access the content management system and make changes when needed.Text can now be changed, photos can be uploaded, pages can be optimized, and additional functionality can be done all without having to call support. Escape to another Nation. 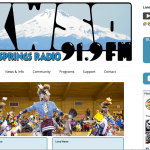 Welcome to Warm Springs, a nation where the sun shines most every day, and time turns to the pace of a culture thousands of years in the making.It is the land of the Warm Springs, Wasco and Paiute Native American Tribes. 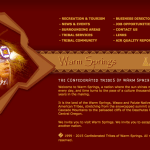 Stretching from the snowcapped summit of the Cascade Mountains to the palisaded cliffs of the Deschutes River in Central Oregon, are the land and people of the Confederated Tribes of the Warm Springs.The tribal economy is based primarily on natural resources, including hydropower, forest products and ranching. Tourism and recreation also make important contributions. Within the community, the Tribal government provides a variety of services, including education, public safety, utilities, health, resource management, business development and recreation. Many services not offered by the Tribal government are provided by locally-owned private businesses.